The structure tensor, also known as second moment matrix or Förstner interest operator, is a very popular tool in image processing. Its purpose is the estimation of orientation and the local analysis of structure in general. It is based on the integration of data from a local neighborhood. Normally, this neighborhood is defined by a Gaussian window function and the structure tensor is computed by the weighted sum within this window. Some recently proposed methods, however, adapt the computation of the structure tensor to the image data. There are several ways how to do that. 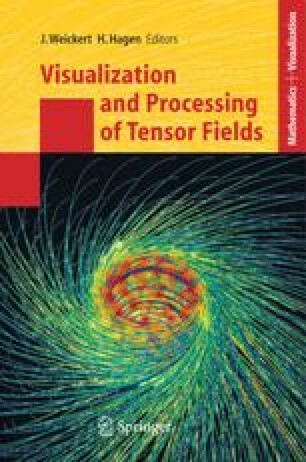 This chapter wants to give an overview of the different approaches, whereas the focus lies on the methods based on robust statistics and nonlinear diffusion. Furthermore, the data-adaptive structure tensors are evaluated in some applications. Here the main focus lies on optic flow estimation, but also texture analysis and corner detection are considered.